This was my very last Disney picture to scrap. It took me 7 months to scrap them and I enjoyed every minute of it. They were the easiest pictures to scrap. The bright colors and fun images sent me into paper heaven. Other than embellishments I did not use any actual Disney themed paper. There were so many great papers that worked so well with them. I used a lot of Bo Bunny lines. The colors and patterns like the one above have been fabulous for my photos! 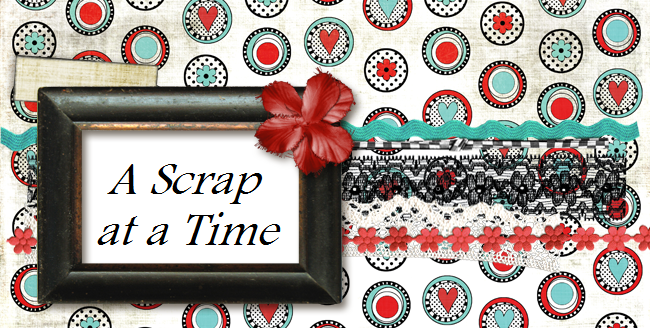 This is the newest sketch from Creative Scrappers. What a great achievement, I can't imagine how many pages a trip to Disney would take up. Fabulous page too, the non-themed product look great.